. يقدم Beachfront Terraces Apartments خدمات لا غبار عليها وكل أشكال اللياقة وحسن الضيافة اللازمة لإسعاد ضيوفه. يمكن لضيوف الفندق الاستمتاع بالميزات التالية على أرض الفندق: صف السيارات, التوصيل من وإلى المطار, غرفة عائلية, مرافق للشواء, جولات . استمتع بوسائل الراحة الراقية في الغرف أثناء إقامتك هنا. بعض الغرف تتضمن تلفزيون بشاشة مسطحة, اتصال لاسلكي بالإنترنت, غرف لغير المدخنين, مكيف هواء, شرفة/ تراس لمساعدتك على استعادة طاقتك بعد يوم طويل. إن حمام سباحة خارجي, حديقة هو المكان الأمثل في الفندق للاسترخاء وتفريغ طاقتك بعد نهار طويل. إن Beachfront Terraces Apartments هو مكان مثالي للمسافرين الذين يتطلعون إلى الراحة والاستجمام في بورت دوجلاس. يجب على النزلاء تسجيل الوصول في عقار آخر. مكتب الإستقبال مفتوح من 9:00 AM إلى 5:00 PM. الضيوف الذين سيصلون خارج هذا الوقت بطلب منهم التواصل مع العقار مباشرة قبل موعد الوصول لترتيب هذا الأمر. It was pretty good the place was fairly clean. Although I made sure I didn't drop anything under the bed when I left let just say they skip that part when it comes to cleaning. It's in a good area straight across the road from the beach and close to the Main Street shops. The apartment ibathrooms could do with a little updating. And they could do with getting some new pillows they were SO flat. Other than that the place was fine. 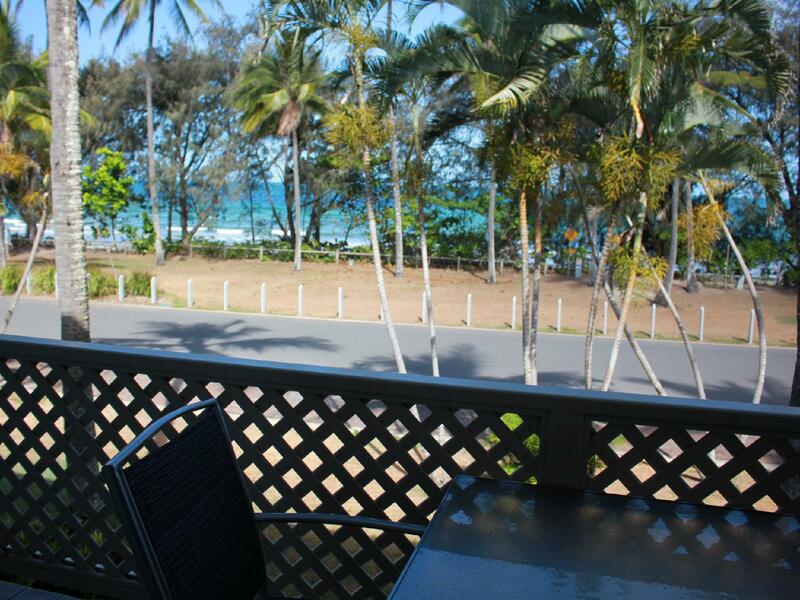 If I went back to port Douglas I'd probably consider staying again just because of the price and location of the apartments. The big let down was we came in late and were not made aware that the appartments shared the reception with the apartment complex next door. Also the sign out the front was not the same name as the booking name made this extra confusing. Close to shops and eateries. Close to Beach. pool areas not crowded. 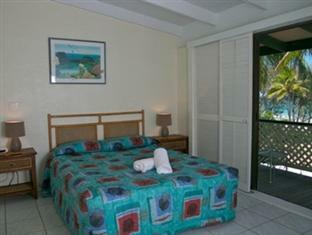 The Beachfront Terraces is the low end accommodation part of the Beaches complex. So it is a little confusing at first. The rooms are now a bit old and in need of a refurbishment. But they met our needs for this 3 night stay. The management and staff were very helpful. 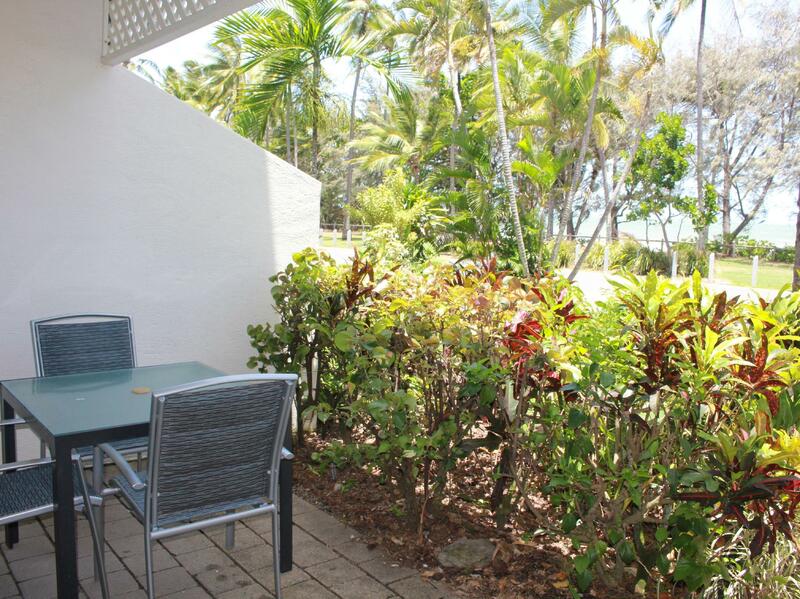 The location is perfect, short walking distance to everything. Ideal for us, walk across to beach and into town. Minor irritations such as equipment missing(coffeepot) or not working(hairdryer) but the management went out of their way to help me with wifi and printing issues. Wifi only available at reception, not in apartment. We originally booked a garden-view apartment, but were upgraded to an ocean-view upon check-in- THANK YOU! This really was a saving grace. The apartment we stayed in needs a thorough cleaning (and updating)... the dust on the shutters was built up from who knows how long?! The floors and bathrooms were not very clean. That said, we were RIGHT across the street from the beach and easy walking distance to restaurants and shopping (even with small children). Laundry and kitchen were perfectly functional. So, for a relatively economical option, if you're not bothered by other people's dust/dirt, this is a good choice. If we had been in the garden-view apartments, I think my review might be a bit more negative. I was disappointed with the room when I saw it. Was very basic, couch had food stains on it. Not very well maintained. My friend received an electric shock when turning on a light switch witch blew the fuse box. Reception staff were not very helpful. Pool is tiny! It was located very close to the beach and main street. Surf Club across the road serves great food! I have arrived late at midnight due flight delay but I have no problem to get in my room. The lady at the reception counter is very friendly and helpful. 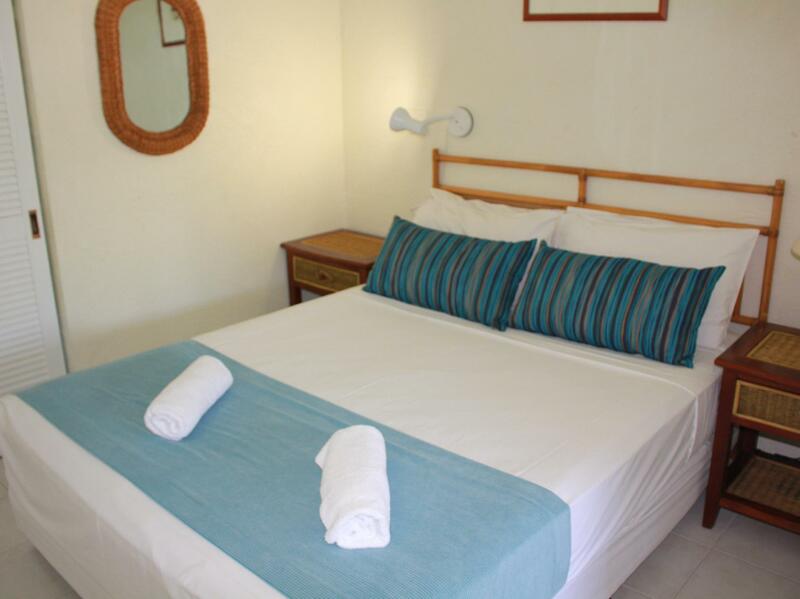 The rooms is clean and complete with the facilities for cook. I cook my own sea food. The sea food is easy to get from supermarket nearby. The hotel location is great. 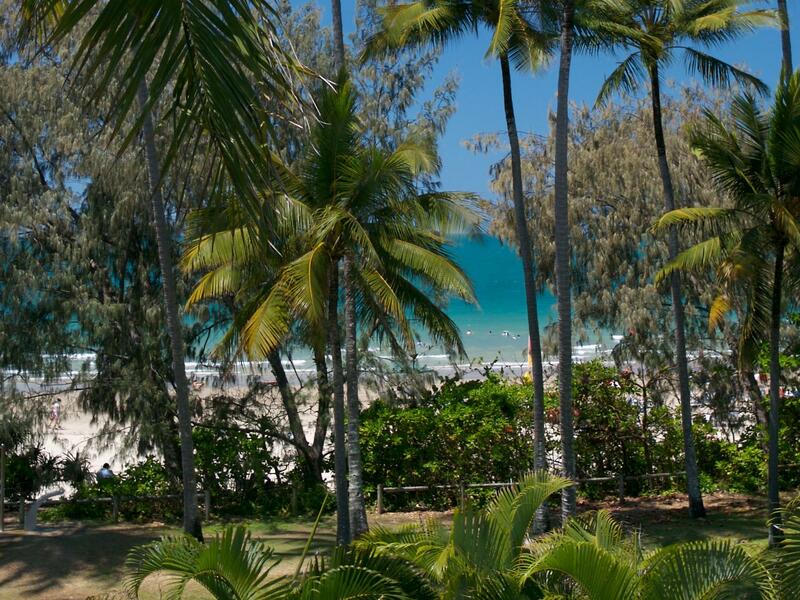 It is walking distance to Port Douglas town and beach.